Downtown St. Charles is an authentic urban experience that can’t be missed. Here, you can happily say goodbye to the all-too-familiar places and commonplace experiences and say hello to your unique, cosmopolitan self. Located on the Fox River, Downtown St. Charles is anything but mainstream. It’s a lively urban oasis where old meets new, business meets pleasure and active outdoor spaces meet active indoor places. Whether you come to visit, work, play or live, your city side will be energized around every corner. Downtown St. Charles is home to two theatres, boutique shopping, award winning events, and an endless array of dining options. No matter how you define your city side, you can ignite it thoroughly in Downtown St. Charles. Your city side is your chic side and your savvy side. It lets you feel more connected and more energized. Morning, noon or night, in Downtown St. Charles there’s always something to engage and delight the city side of you. Discover your Cultural Side in Downtown St. Charles! 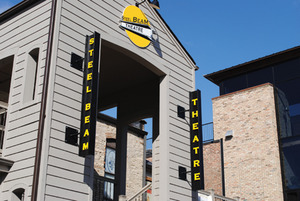 The Steel Beam Theatre is located in the heart of Downtown St. Charles. It is a non-for-profit, charitable organization dedicated to bringing high quality theatrical entertainment, training and arts awareness to the Fox Valley community at affordable prices. This intimate theatre produces live performances of contemporary productions in a unique, intimate, historic setting. The children’s theater is great for introducing your kids to the magic of theater. Tickets for kids’ shows start at $10 and run on Saturdays and Sundays during the day. Tickets for adults start at $22 for main stage productions. The Steel Beam’s next show, Good People, runs Sept. 11 until Oct. 4. Visit their website for more upcoming shows at steelbeamtheatre.com. The museum is located in the 1928 McCornack Oil Company building at 215 E. Main St. The building served St. Charles as a gas station from 1928 until 1990. After renovations, the museum opened to the public in May 2001. Prior to 2001, the museum was located in the St. Charles Municipal Building. The St. Charles History Museum houses permanent and temporary exhibits, the Colonial Anderson Research Room, photo and research archives, a museum gift shop, administrative offices, and the storage-preservation repository for the center’s collections. The temporary exhibits include:“100 Days, 100 Artifacts: A History of St. Charles,” an interactive and online exhibit on the history of St. Charles. Be sure to also check out “It’s a Big Dill!” This exhibition explores over 4,000 years of pickle history and the critical role St. Charles played in cultivating American’s love for and obsession with the pickle. Check out their website for more information at stcmuseum.org. 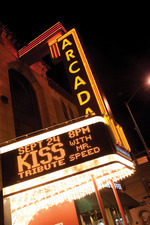 The Arcada Theater was built in 1926 by local millionaire and Chicago Tribune cartoonist Lester J. Norris. In May 2005, new life was breathed into the aging building when Onesti Entertainment Corporation assumed ownership of theater operations. Today, the “Gem of the Fox Valley” is back to its original state of elegance, complete with the original pipe organ that rises from beneath the stage floor. Some of today’s most iconic stars perform before the venue’s nine hundred enthusiastic audience members. With each impactful show, the historic Arcada Theater lives on, enabling thousands to experience the joy of world class entertainment. Find upcoming shows at oshows.com.